As one of Christian music's best-selling artists, TobyMac successfully combines elements of rock, pop, and hip hop. His music reflects real life struggles, his faith and passionately pursuing God in a crazy world. This 3CD Collection features the albums, Momentum, Welcome To Diverse City, and Eye On It. With hit songs like 'Speak Life,' 'Burn For You,' and 'Irene,' this collection is a must have for Christian radio fans. 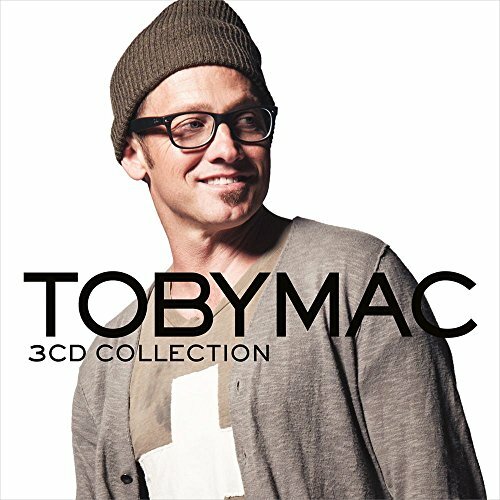 As the founder of legendary group dcTalk, TobyMac has amassed over 10 million career albums sold and his first four solo projects reached RIAA Gold status and Grammy nominations while his live CD/DVD won a Grammy Award in 2009. The 2012 studio album Eye On It debuted at #1 on the Billboard Top 200 Chart, selling nearly 70,000 albums street week and featuring the hits 'Me Without You,' 'Steal My Show,' and the #1 radio hit 'Speak Life.' Additionally, his music has been heard in major motion pictures while also being featured on Fox Sports and The NFL Network. 'Showstopper,' from the chart-topping album Tonight, was featured in ESPNs ESPY Award Show and used to launch the last season of CBS hit television show CSI: NY.